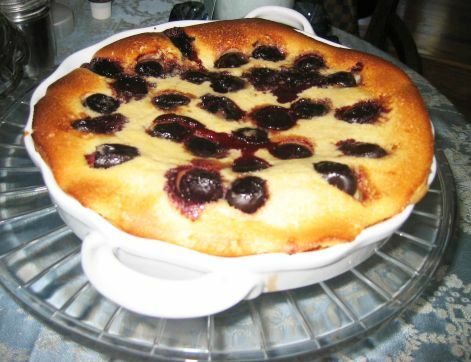 In contrast with the Cannelés, the Clafoutis aux Cerises is a classic French dessert and you will find them in all of the bakeries in France. They are usually sold by individual piece or you can buy the whole pie. It is a very popular dessert! Kids usually buy a piece with their left over lunch money right after getting off from school and they devoured the dessert within seconds. They are very good at room temperature or cold. 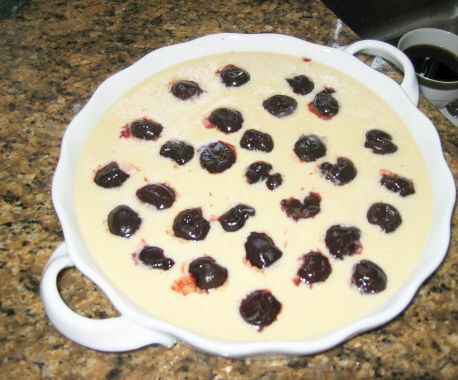 The Clafoutis is a baked custard with fresh fruit, mostly cherries. The texture of the clafoutis is a dense custard cake and it is also a little chewy. 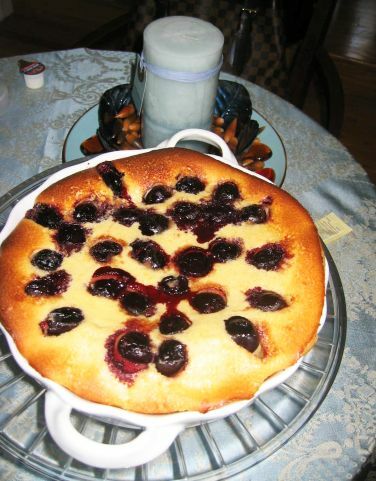 The addition of the cherries and rum gave give the Clafoutis a burst of flavor. The cherries are macerated with rum for maximum flavor. 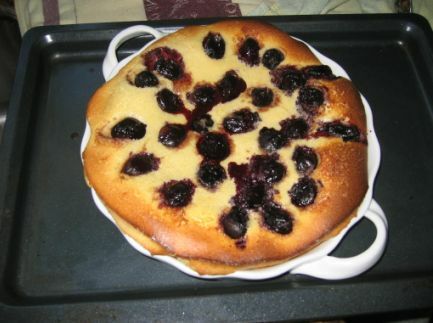 The last time I made a Clafoutis was back in March! This one is a traditional version with only sugar, milk, egg and flour for the batter. The secret for a soft texture is the batter needed to rest for a least a few hours. 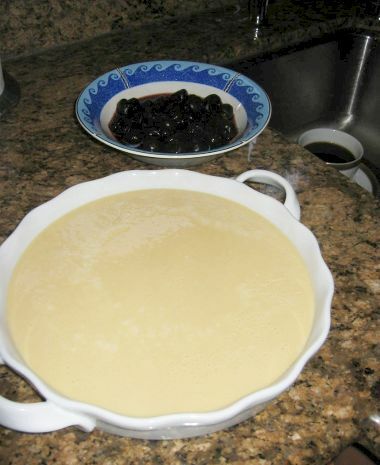 The batter is poured into a nice dish. 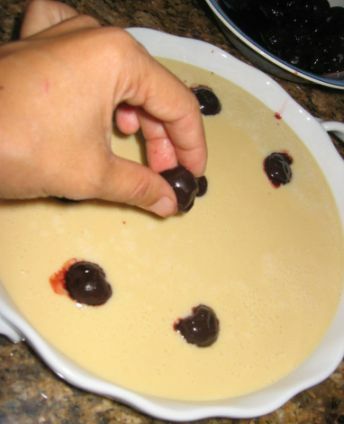 Next I am putting the macerated Cherries into the batter. Freshly out of the oven. The dough is nicely puffed up and golden.